There are many different ideas for a hostel to earn more ancillary income, but how it’s charged is usually the same. Buy a product or service, pay for it then. Whether it’s a toothbrush, a city tour, or a drink from the bar, most hostels take payment right away rather than adopt a hotel-like tab system. After all, backpackers can be fun but they aren’t always the most responsible. Thinking they will pay for everything at the end seems foolish. Or is it? A fair number of hostels around the world operate on the tab system. We wanted to know more about the results of using such a pricing strategy and looked into it further. While running up a tall order at a bar may not seem that unusual, “just throw it on my tab” isn’t something you often hear at a hostel. However it seems to be working for a couple of the properties we spoke to. Here are a few things to take into consideration before acting on such an idea. One question that comes to mind when thinking of using a tab system is “Will the guest spend more money?” In the same way that using a credit card makes it easier for a person to blow their budget than using cash for purchases, using a tab system means a guest may not think about their spending until the end. Any budget they did set may go out the window unless they personally are keeping track. 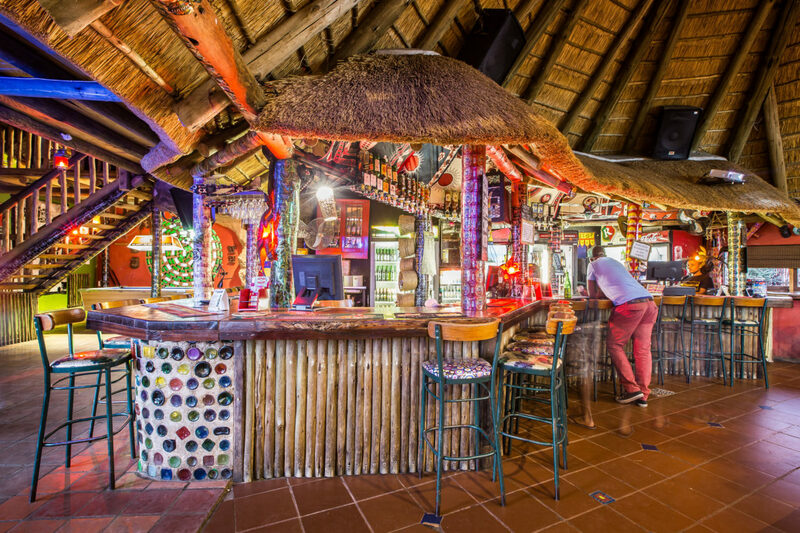 In fact, Ilsa Roberts, co-owner at Amphitheatre Backpackers Lodge in South Africa, noted that one of their disadvantages of using such a system is that occasionally a guest will suggest that a tab system is offered to encourage people to spend more money. While that may be negative from a guest’s point of view, it may also be true. According to Edward Meikle, founder of Casa Elemento & Rio Elemento hostels in Colombia, using a tab system has led to “a higher average spend per guest”. Both hostels sell everything on the system, including food, drinks, tours, accommodation, transport, and more. However Meikle noted that the biggest disadvantage was things don’t always get marked down properly, or sometimes not at all. Communal dinner at Casa Elemento. Any system is only as good as those who operate it, of course, and a tab system will require diligence on the part of your staff to ensure accurate record keeping. On the other hand, Roberts didn’t seem to have this issue and said that their biggest benefit of having a tab system is being able to do only one transaction with each customer, which saves them time. Neither hostel keeps credit cards to ensure full payment at the end, nor think they have issues with fraud. Meikle pointed out that along with trust, their location being a long way from anywhere helps. There are various ways you can integrate a tab system at a hostel. Casa Elemento & Rio Elemento use codes on bracelets, Amphitheatre uses room numbers, and we’ve personally seen both electronic bracelets that scan as well as simple numbered ones. No system is foolproof, but individual bracelets help ensure guests don’t run up a tab on someone else’s bed number. One of the more interesting questions to take into account with the decision to use a tab system or not is how it may affect the guest’s perception of ‘value for money’. While a guest may actually spend more at a hostel with a tab system, they may perceive the value to be lower. This is because the guest feels the pain of the payment at the end, rather than before enjoying the service. For instance, paying a couple bucks a beer before drinking it is easily forgotten as you enjoy a cold one. Also, the more you drink, the less you probably care about the money. However finding out at the end of your stay as you are hungover and leaving that you now owe an extra 40 bucks for booze from the last 3 nights suddenly feels a lot less fun and a lot more expensive than those $2 beers first seemed. Amphitheatre doesn’t seem to have a problem with this. They said, “The clients are obsessive and have notebooks with everything tallied-up so they know what they have to pay”. However one must pose the question if it is for this very reason that both Amphitheater’s and Casa Elemento’s current “value for money” score on Booking.com is the lowest of all 7 categories. So do tab systems earn you more money? Do they hurt your value reputation? Does one compensate for the other? The jury is still out on this one if it’s a good idea for a hostel. It may encourage guests to spend more, but if it’s at the risk of lower ratings, is it worth it? Courtney started out as a backpacker before moving behind the hostel counter to become a manager as well as a writer/editor for hostel sites. She’s worked her way around the world (South Africa, Thailand, the Netherlands, Swaziland, Aus/NZ, and the USA) before coming to Canada in 2017. Now Courtney is a core member of the hostel.consulting team specializing in helping clients become clear on their visions and to realize them through practical operations. When she’s not busy helping others move their dreams forward, she is working on plans for The Wanderbus, a school bus that will be converted into a mini hostel on wheels traveling North America in search of surf, snow, festivals, and intentional community.